Nepal Earthquake is also known as black day for Nepal which is held on 25th April 2015. Recently few of the Nepal Earthquake Live Video and CCTV footage can be seen on Youtube and other social media. Video footage is from Tripureshwar chowk. 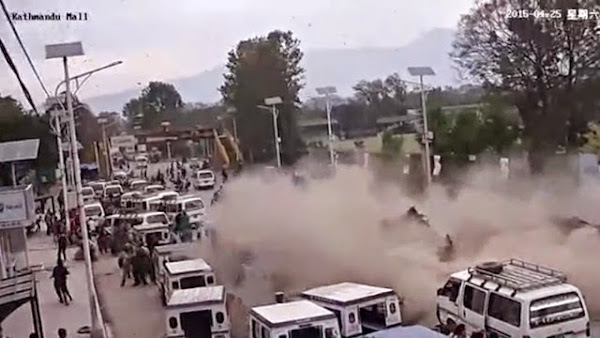 This video footage is from Tundikhel Gate but unfortunately few peoples were injured in this video. In this video we can see the Bhaktapur Temples were collapse.